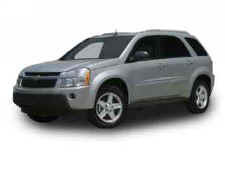 With more than 84,000 sales in its first year, the Chevy Equinox quickly established itself as one of the standouts of the compact SUV segment in 2004. Sleek styling, available all-wheel drive, innovative interior storage and generous rear-seat legroom comfort contributed to Equinox’s rookie-of-the-year status, along with anticipated quadruple five-star government ratings for frontal and side impacts (based on 2005 Equinox NHTSA testing). 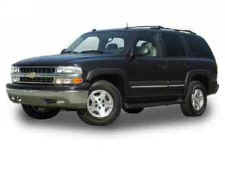 A stylish LTZ model highlights the changes and enhancements for the 2006 Chevy Suburban – the last model year for the current-generation vehicle. The LTZ includes features such as a standard Vortec 6000 V-8 engine, all-wheel drive and 20-inch wheels, along with exterior and interior enhancements that make it a standout from all other Suburban models – and all other full-size SUVs. 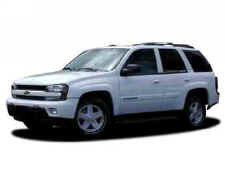 Chevy Tahoe enters 2006 with evolutionary changes that lay the groundwork for the next-generation model. Tahoe retains the premium appointments, refined ride and handling, and outstanding levels of safety and capability that helped make it the industry’s best-selling full-size SUV in 2004. The new TrailBlazer SS leads Chevy’s midsize SUV lineup into 2006, delivering sports car performance combined with the functionality expected of a utility vehicle. It is the first SUV to wear Chevrolet’s storied SS badge. 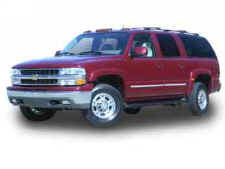 Chevrolet Uplander added new dimensions of style and versatility to the mid-van segment with its introduction for 2005. A crossover sport van for those who want it all, the Uplander delivers the bold styling of an SUV, the passenger room and interior versatility of a van, and the smooth ride of a sedan.